The Waffen SS was the military wing of Himmler’s SS and one of the most feared combat organizations of the 20th century. Originally formed as a protection squad for Adolf Hitler it was to develop into an essential element of the Nazi state, with 900,000 men under arms. 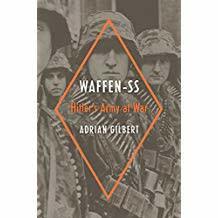 The crucial role of the Waffen SS in furthering the aims of the Third Reich is the central theme of Adrian Gilbert’s illuminating portrayal of Hitler’s political soldiers. During its short history, the elite divisions of the Waffen SS acquired a reputation for military excellence, but their superb battlefield record was tarnished by repeated atrocities against soldiers and civilians. The author will provide a new and authoritative overview of the Waffen SS, with emphasis placed on major incidents and key individuals. The book will also analyze its specialist training and review the vital contribution of foreign volunteers, as well as describing the battles and campaigns that brought it both fame and notoriety. Armenian and Russian rights in Jon Conlin’s Mr Five Per Cent: : the many lives of Calouste Gulbenkian, the world’s richest man. Croatian and Romanian rights in Adrian Gilbert’s Waffen SS: A Military History. 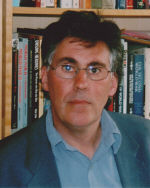 Chinese rights in Hitler’s Last Stand by Ian Sayer and Jeremy Dronfield. French rights in Casey Watson’s A Dark Secret.